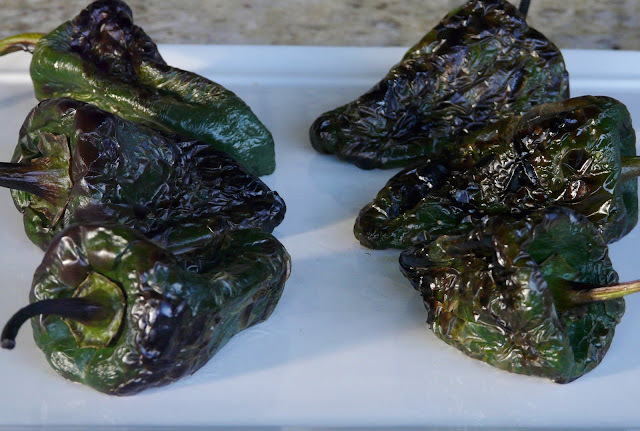 One of the farmer's market vendors had Poblano Peppers for sale. They were quite small so I bought six. I got dinner started this morning before I had to leave for work. I roasted the peppers, and, I put a pot of black beans on to simmer. I left Moe responsible for turning off the stove when the beans were tender. First thing I did when I got in from work was to cut up some flour tortillas and fry the wedges. 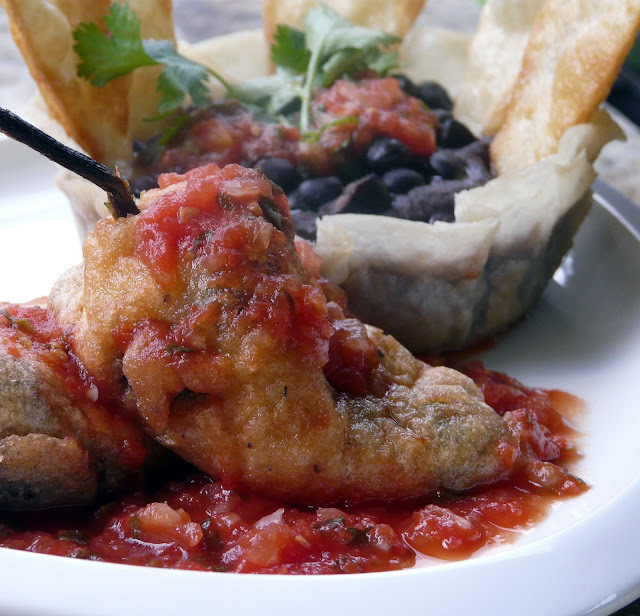 And I fried two of the tortillas and shaped them around ramekins to form bowls. They became the vessel for the Black Beans. Next I made the salsa, and put the sauce on to simmer for the rellenos. Since the Poblanos were roasted and seeded earlier, all that needed to be done was to stuff them with the cheese, prepare the batter and fry them. 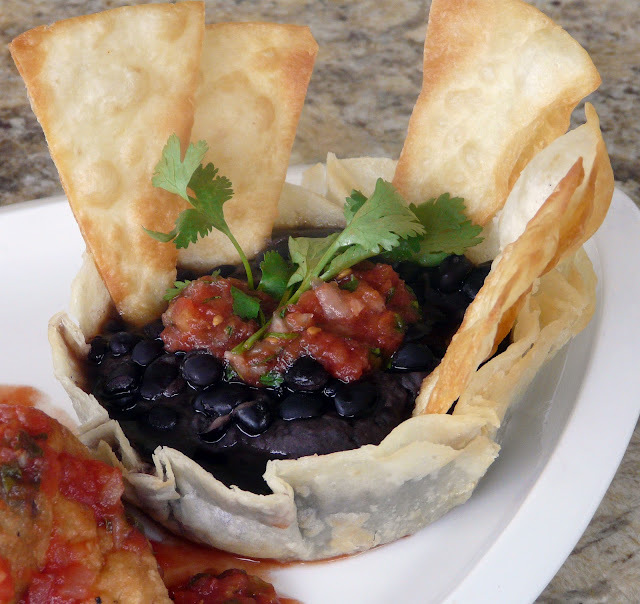 The beans were semi mashed and served in the tortilla shell topped with salsa. I have been making Chiles Rellenos for over 40 years. I have never had an actual recipe. I just watch someone I knew (from Texas) make them and have been making them this way ever since. Now that is quite a dinner....it is 2:00am here and i could tuck into that plate right now! Scrumptious dinner, Ann. I wish I was as organized as your are. You make it sound so quick and easy. 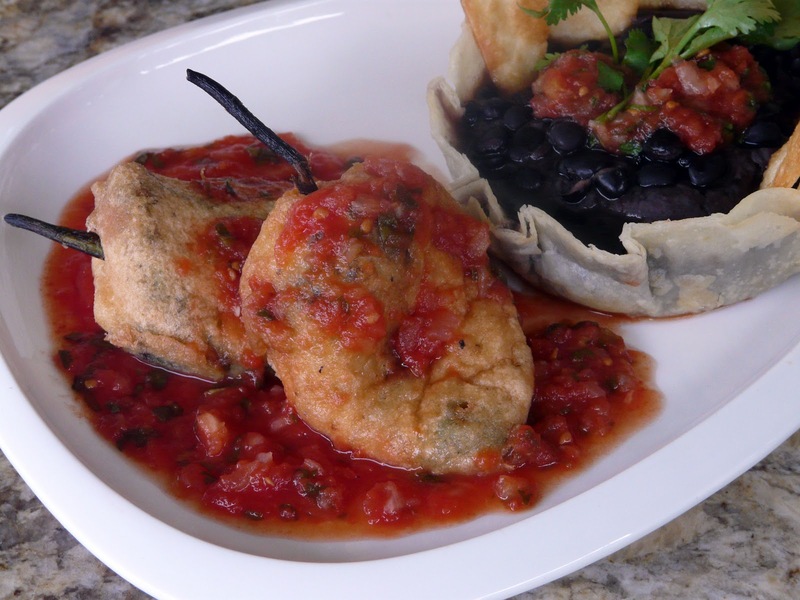 I have never made rellenos. You make it sounds so easy that I wonder why I have never tried it. That is going to change. 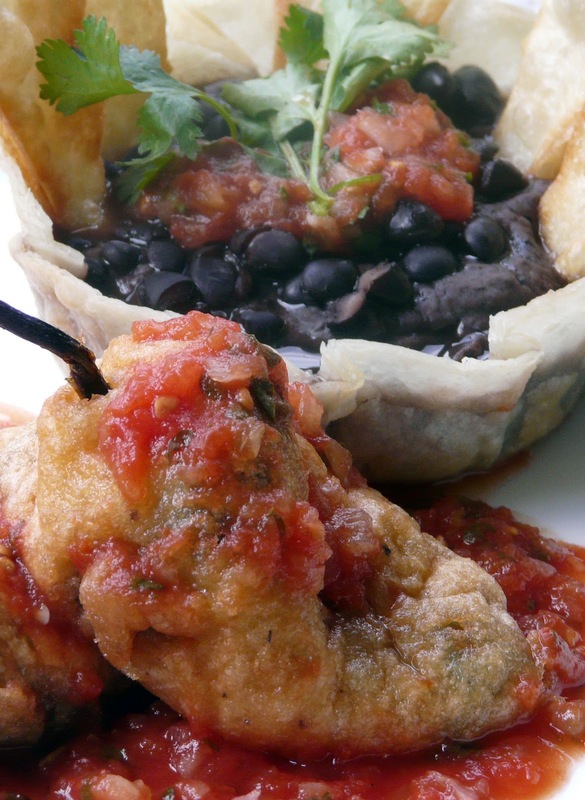 My husband LOVED the rellenos!! !